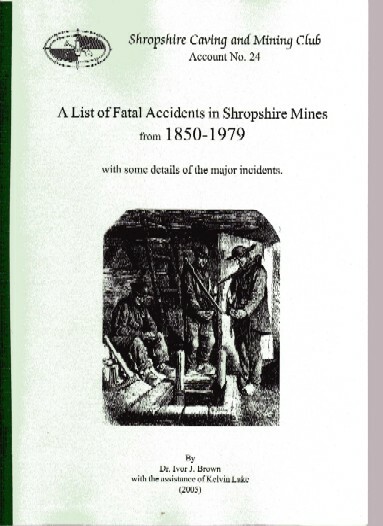 A List of Fatal Accidents in Shropshire Mines from 1850 to 1979 with some details of the major incidents. This volume has been produced by the Shropshire Caving and Mining Club and is very well produced volume. Ivors Knowledge of Shropshire mining where he worked as man and boy is well known his text has been edited and added too by Kelvin Lake who has provided quality drawings and plans. This is a highly informative volume and is being well sought by both Mining Historians and Family History researchers anyone with an interest in Shropshire Mining should obtain this volume.